Transport data firm Inrix calculated that the average road user in London lost up to £1,680 due to jams. This was followed by Edinburgh (£1,219), Manchester (£1,157) and Leicester (£1,145). 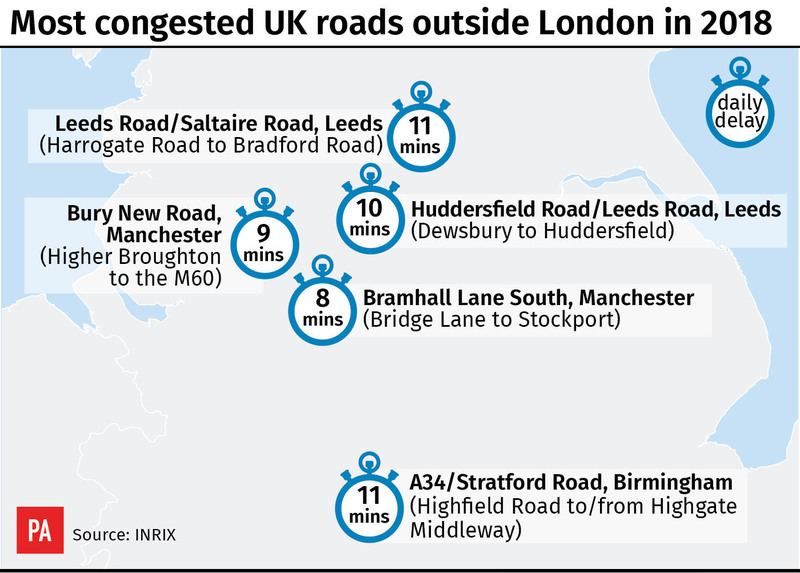 The A406 from Chiswick Roundabout to Hanger Lane, west London, topped the Inrix list of the worst traffic corridors, with the average driver wasting 61 hours per year in congestion in 2018.